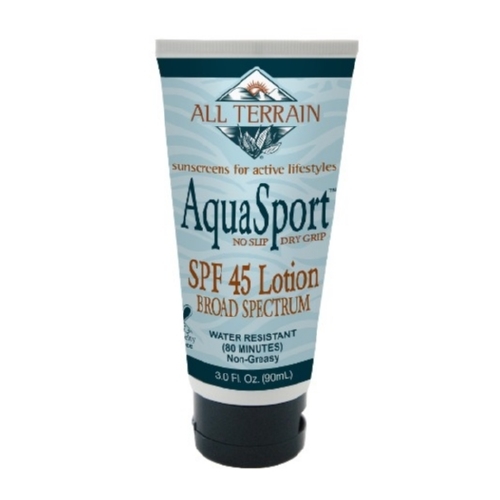 A highly effective, safe, natural, oxybenzone-free sunscreen providing full-spectrm UVA (skin cancer) and UVB (sunburn) protection. Proven effective after 80 minutes in water, AquaSport is very water/sweat resistant. Using non-nano, un-coated zinc oxide, it is non-whitening, non-greasy, fragrance-free and wont cause eye sting. It is great for athletes, active people and kids who might get some in their eyes.